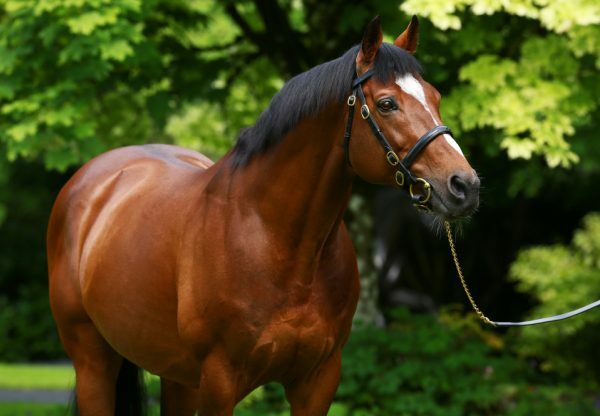 The fabulous Churchill (2c Galileo-Meow, by Storm Cat), owned by Michael Tabor, Mrs John Magnier and Derrick Smith, brought more G1 success for Galileo on Saturday with another superb display in the G1 Dewhurst Stakes at Newmarket. Ryan Moore had to bide his time aboard the winner who was looking for an exit route two furlongs out, before finishing with a devastating turn of foot to take the prize from stablemate Lancaster Bomber. “He was always going to win and is a very, very good colt,” said Moore. “The race wasn’t as evenly run as it could have been. He relaxes well, he travels and when I ask him to he always finds. He always felt like he was going so easily through the race and he’ll definitely be a Guineas horse next year. “He’s so strong and powerful. I definitely think he’ll get better. 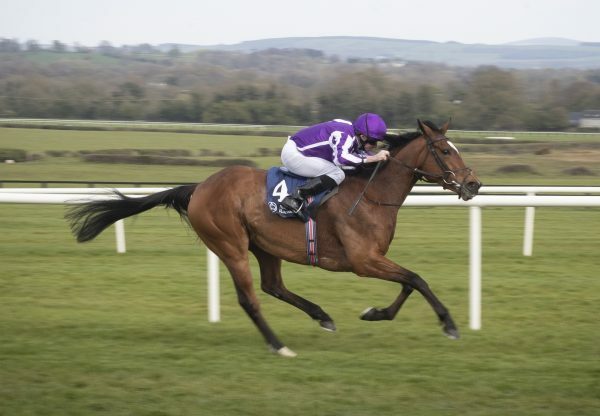 He’s one to look forward to.” Bookmakers make Churchill a short-priced favourite for next year’s G1 2,000 Guineas and trainer Aidan O’Brien was full of praise for the Galileo colt, who took the G1 Goffs Vincent O’Brien National Stakes on his last start and was recording his fifth black-type success. “He learned a lot today,” said O’Brien. “It got a little bit messy after the two marker and Ryan guided him through lovely. He’s as imposing a two-year-old as we’ve ever trained. He’s massive, powerful and with a great mind. He relaxes and just does the minimum, which is brilliant. He’s a great traveller as well - all the qualities are there in abundance. “He’s very special and has done everything from day one. Anyone who has had anything to do with him has got that special feeling from him. We always viewed him as a miler but that’s not to say he won’t get further. He’s so relaxed and laid-back. He came in there and wasn’t blowing, he’s very economical as a galloper. He saves everything and his mind is very strong.” It has been a remarkable few days for Galileo even by his exalted standards. 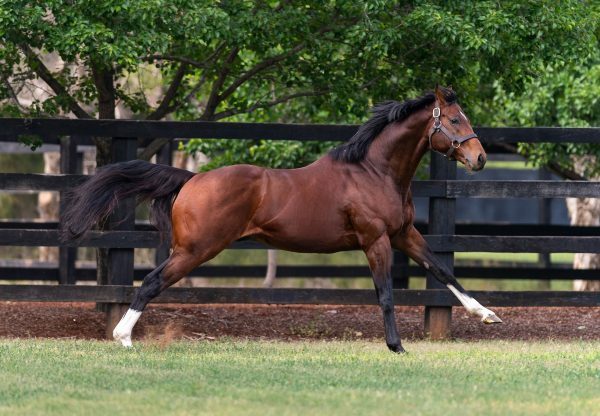 The previous afternoon Rhododendron (2f Galileo-Halfway To Heaven, by Pivotal) and Hydrangea (2f Galileo-Beauty Is Truth, by Pivotal) provided a G1 1-2 for their sire in the G1 Fillies’ Mile. 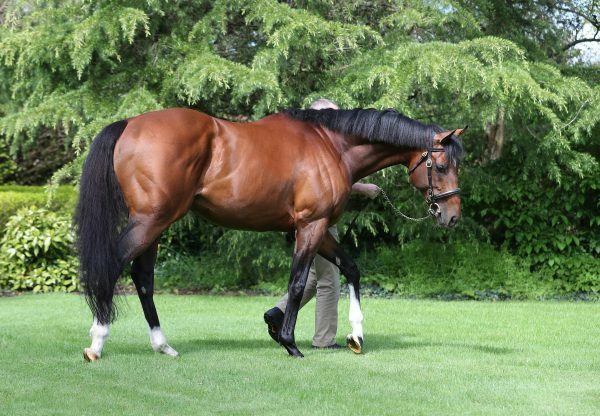 The previous Sunday he had amazingly been responsible for the 1-2-3 in the G1 Prix de l’Arc de Triomphe when Found (4f Galileo-Red Evie, by Intikhab) finished ahead of Highland Reel (4c Galileo-Hveger, by Danehill) and Order Of St George (4c Galileo-Another Storm, by Gone West).